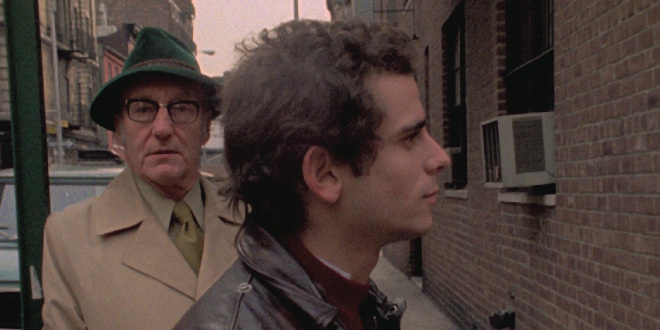 Featuring long-lost footage and archival photos of William S. Burroughs, Allen Ginsberg, Spike Lee, Madonna, Patti Smith, Andy Warhol, John Waters, and many others, Uncle Howard chronicles the charmed, doomed, and ultimately too-short life of filmmaker Howard Brookner. Howard was an Ivy League graduate, broke artist, rising Hollywood star, heroin user, jet-setter, bohemian, seedy nightlife lover, director of cult docs, and devoted friend. To Uncle Howard director Aaron Brookner, he was a loving and inspirational uncle who died of AIDS when Aaron was only seven and Howard was on the brink of a promising filmmaking career. Aaron’s fascination with his uncle has continued his entire life and led him on a challenging, multi-decade quest to recover his uncle’s photos and films. Uncle Howard is the result of Aaron’s successful mission to preserve his uncle’s legacy—beginning with Howard’s 1983 debut film Burroughs: The Movie, the first and most revealing film about the iconic writer, and ending with photographs and rehearsal videos of Madonna from Bloodhounds of Broadway, which Howard rushed to finish before his inevitable demise. Through conversations with family and close friends—including Tom DiCillo, Sara Driver, Brad Gooch, James Grauerholz, Jim Jarmusch, Hisami Kuroiwa, and Robert Wilson—Aaron explores the cultural revolution of the late 1970s and early ’80s when his uncle loved and lived life to the fullest.